Beacon RCC was founded on 10 November 1946, by a group of young men who used to meet on the slopes of Beacon Hill, in the Lickeys, southwest of Birmingham. Being admirers of the great Italian cyclists of the day, such as Fausto Coppi, the group chose red, white and green as the club colours. Rod Goodfellow & Les Ladbury (with Gil Taylor of Aston Fields in white hat) leading reliability trial to Llangollen and back in February 1961. From the outset, the Beacon was very active both as a racing club and as a social and touring club. Early competitive successes came from Norman Adams – an outstanding hill-climber and short-distance time trialist, who won the Welsh National 25-mile title in 1951 and was close to the British record at the distance on several occasions – and from Dave Duffield, who excelled at long-distance tricycle riding, setting a variety of place-to-place records, including Land’s End to John O’Groats. Many people will have known Dave best as Eurosport’s main cycling commentator for many years. The 1970s was a golden era for racing at the club. Rod Goodfellow was a prolific winner at all distances, but particularly in endurance events, while his wife Chris joined forces with June Pitchford, Maggie Gordon Smith and Janet Crowther to form an all-conquering women’s team. In 1975, Steve Jones took the National Junior 25-mile and Best All-Rounder titles before stepping up to the senior ranks to carve out a professional career. A little later, Dave Hughes and Tony Webb set a series of national and regional tandem records, as well as having a tilt at the world human-powered vehicle record in a tandem with faring. Mixed tandem records were also set by Jane Herrin and Trevor Bull. Highlight of the 1990s was Hugh McGuire’s national over-60s road race title. In the modern era, the club’s leading competitor has been Ruth Eyles, a multiple national time-trial champion and winner of women’s events at all distances from 10 to 100 miles in the 2000s. 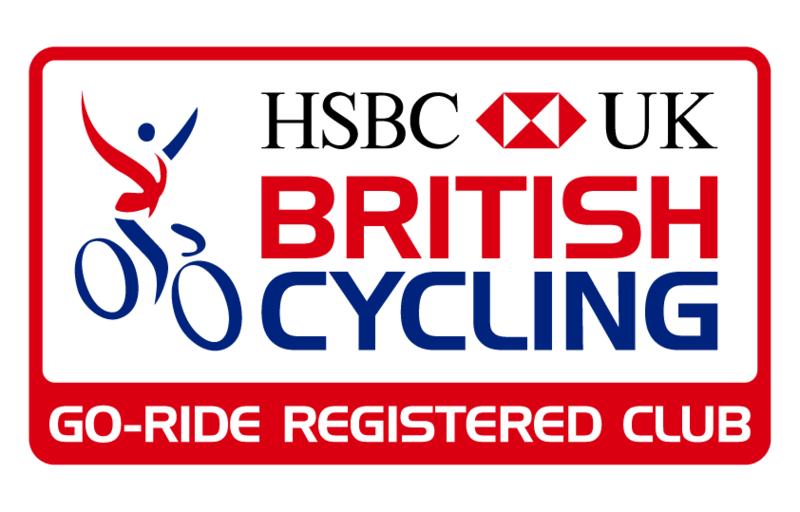 Other recent successes include second-claim member Richard Bussell’s wins in the 2015 National Hill Climb and 2015 and 2016 National 10 Mile Championships, and Jessica Rhodes-Jones’s win in the F19-34 time trial category at the UCI Gran Fondo World Championships. For details of the Beacon’s major racing successes down the years, see our Roll of Honour. However, the Beacon has never been just a racing club. As the picture shows, sociable group riding – particularly on Sunday morning club runs – was a big element of club life from the outset. For generations, Beacon men and women of all ages and abilities have explored the Midlands countryside together, spending many an hour chatting in cafés from the Welsh Marches to the Cotswolds. The camaraderie fostered by these rides remains one of the defining characteristics of the club to this day. As a result, the Beacon is as well known for the friendly welcome extended to participants in its Audaxes, road and circuit races and open time trials as it is for the performances of its racing stars. The club was the subject of the “We ride with…” feature in the 12 January 2017 issue of Cycling Weekly. Crossing the Wye at a Welsh Bicknor weekend Charlie Skinner unsuccessfully attempts to ride the rail while Kevin Venables leads the way. North Worcs RC members on Club run to Clent – Winter 1960. New club record set by Rod Goodfellow. Mick O’Keefe, Alf Howard, Steve Faulkes, Brian Jackson. Front: Eileen Poole, Jean Gould, Chris Goodfellow. Jeff Gould, Dave Barton, Steve Faulkes, Alec Pritchard. Club run near Alcester in 1960. Possibly Alan Smith in striped socks. Chris Goodfellow in foreground on right. Hostel weekend, Welsh Bicknor 1961. Chris Goodfellow & Avril Clements sittng in background. Club runs were often covered in the local press. June Pitchford, Maggie Gordon Smith, Jan Crowther, Chris Goodfellow. 1966 World Championships Womens Team. Left to right: Beryl Burton, Ann Horswell, Chris Goodfellow, Barbara Body & Kay Hawkins (Manager). Chris Goodfellow 1966 10 mile TT. Rod & Chris Goodfellow 1973. Rod Goodfellow 1974 National Hill Climb. Rod Goodfellow, Colin Purdy, Dave Sinor. Front: Roger Shayes, ?, Jack Clements, Alan Gayfer (Editor – Cycling), Dave Mason. Back: Oscar Hopkins), Jeff Gould, Brian Jackson, Rod Goodfellow, Jean Gould. viewing arranged by sales manager Dave Duffield. Christmas 10, Malvern 1964. Pete Ruff, Rod Goodfellow, Charlie Skinner.